SNH Tradecentre in Birchington Kent. SNH Tradecentre Fires & Stoves add a focal point to a room. Whether you are looking for a new fireplace to complement your existing fire or you are searching for the perfect fireplace. Our large selection of Dimplex electric suites offer an all-in-one solution to suit your style and tastes. The Capital fireplaces featured are made from lovely stone and would suit both a traditional or contemporary home. The Capital fireplaces collection can be teamed with one of our fires to create a bespoke solution for you. Our range of stoves are made from cast iron or steel. They are designed with durability and maximum heat output in mind. The stoves retain heat long after the fire has died out. If you concerned about your environmental impact. We stock Defra Approved stoves. 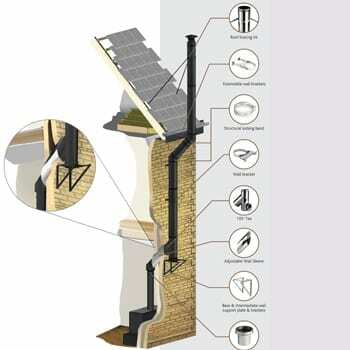 In this type of stove you can burn smokless fuels or wood and you will probably be interested to know that wood is the most environmentally friendly fuel to burn because it’s carbon neutral and a renewable resource. We have a huge selection of Dimplex fires. Dimplex produce high quality electric fires, suites and surrounds that suit all tastes and budgets. Whether you’re looking for a contemporary wall mounted fire or a traditionally-styled electric stove. Dimplex have a product that’s suitable for you. We also have inset fires and freestanding fires making it easy to find a Dimplex fire that is ideal for your home. At SNH we have some of the hottest gas and electric fires to be found in the UK. We feature fires from household names such as Dimplex, Smeg, Flavel and Celsi. Electric fires are a fantastic option for any home because they can be installed with little or no hassle. Get the look of a real fire without any messy fuel. Gas fires provide a real flame and a gorgeous heat. 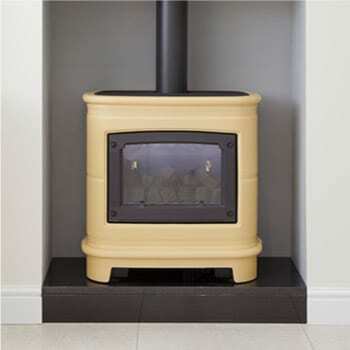 Gas fires need to be installed by a gas safe engineer and you’ll need to have a suitable flue. 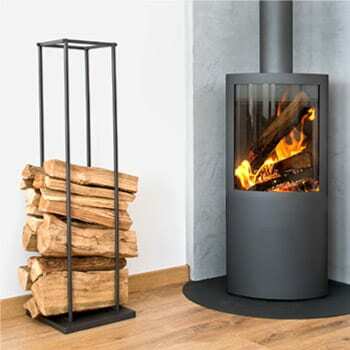 SNH tradecentre we have a full range of fireside accessories on offer. Anything that you need to complement your fire we have. Our practical fireside accessories are available to make owning and maintaining a fire or stove as hassle free as possible. Fire baskets, grates and ash pans are suitable for both solid fuel and gas fires. Fire dogs are a traditional accessory designed for use with the swans nest style solid fuel basket. Fire guards are both an attractive accessory and a functional fire screen to protect your family (and your carpet) from flying embers and hot ash. SNH collection of fireside accessories includes anything from log baskets and holders. Fireplace bellows, coal buckets, pokers, shovels, fireside tongs and companion sets. Each of these items can be either decorative or functional. They give your fireplace an authentic look and feel. Our fireside accessories come in a variety of finishes to complement your fireplace and the style of your home. We also supply stove fans for wood burners, log moisture meters and fireplace maintainence products such as high temperature stove paints, stove rope, replacement pebbles, logs or coals for fires. SNH Fireplace fenders were first introduced to create a barrier for small children and also to prevent ladies long gowns from catching fire. Today the open fire has been replaced by the use of electric and gas fires as they require little or no maintenance. Fireplace fenders are used more for decorative purposes as they create a neat edge to your fireplace hearth. Having said that, fireplace fenders are still a good idea where an open fire is used as they help to contain any ash or debris inside the hearth area and serve the purpose of protecting the floor and carpets from fire. SNH Bathroom and plumbing. The bathroom and plumbing section is full of great deals, with bathroom taps, bathroom showers, and bathroom shower cubicals, the list is endless. So we at SNH hope your buying experience with us is as easy as possible. This range is huge and we are constantly striving to update our web site to bring you high quality goods at competative prices. All of our products are brand new and boxed and come with a full manufacturers guarantee. Home Of Ultra, Hudson Reed, Premier Roca, are bathroom industry market leaders. They offer the latest designs and styles at competative prices without a drop in quality. Deva taps otherwise known as Deva Methven are based in the UK and provide a wide variety of products suitable for both domestic and commercial applications. Their range features sensor taps, classic taps and modern taps, which come with a 12 year warranty. Bathroom furniture is a great way of creating a streamlined look to a small bathroom or a design statement in the larger bathroom. As well as creating space bathroom furniture is a great way of concealing all of your bottles and bathroom paraphernalia keeping the bathroom neat and tidy. Browse our comprehensive range of shower cubicles, shower enclosures and trays from MX, Scudo, Qualitex and Cassellie. We have a fantastic range of showers from Triton, Mira, Galaxy, Aqualisa, Hudson Reed, Premier & Home of Ultra, something to suit every budget. We offer a wide variety of styles from the traditional to contemporary, eg 1200 & 1400 rectangular baths, shower baths, sunken baths, corner baths, freestanding baths and complete bathroom suites plus a wide range of taps and accessories to match. A fantastic range of kitchen taps in both modern and traditional styles. 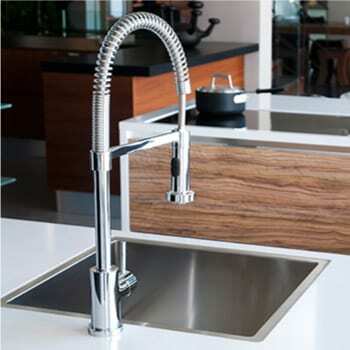 kitchen mixer taps, kitchen taps with pull out rinsers, we have taps to suit every taste and budget. Our range includes trusted names such as Home Of Ultra and Deva; most are in stock and can be delivered within 2 to 3 working days. Contract sink taps for commercial applications. Deva contract & commercial range of kitchen taps have a heavy construction and are competively priced without compromising on quality. This contract & commercial range of kitchen taps offer value for money with a 12 year warranty. Features bib taps, lever taps, pillar taps, deck mounted sink mixers, lever action bridge sink mixers and a sequential control spray mono mixer. SNH affordable range of high quality water softeners. Electronic water conditioners and drinking filter kits from Tapworks. All items come with a manufacturers warranty and are brand new and securely packaged. Water softeners are easy to have installed. All you need is access to the mains water supply, the drain and electricity. Today's modern water softeners are designed to fit inside a standard kitchen cabinet but can be installed in a utility room if required. You will just need a qualified engineer to do this for you. If you live in a hard water area such as we do here in Thanet. The best way to soften your household water is to install a water softer. Hard water contains calcuim and magnesuim. Water softeners work by water being passed over beads (or otherwise known as resin) inside the unit. The chemicals cling to the beads taking these elements out and replacing them with sodium, this process is called ion exchange. Once the beads have collected the calcuim and magnesuim these chemicals are dispersed into the drain. And the mineral tank inside the unit will be flushed ready for the next regeneration. Most modern water softeners have an automatic regeneration schecdule which will flush and recharge the unit.